As Steve Denning states in a recent Forbes article, "Most large firms of today are ill-equipped to compete in the emerging Creative Economy, in which globalization and the shift in power from seller to buyer have put the customer in charge." It is important to realize that customers are now in charge and that the old style of thinking (where success is driven by the happiness of shareholders) now could put companies out of business. The solution to changing markets and consumer behaviors is adopting a more flexible, creative business model. The Agile framework stimulates original thinking, shifts your organization to be customer-value driven, and as the name implies, allows for agility. The key component is to think “People,” “Process,” then “Tools,” exclusively in that order. Agile frameworks such as Scrum and Kanban provide lightweight process frameworks that flatten hierarchies and promote collaborative decision making (i.e. original thinking at all levels). A self-organizing, cross-functional team can be tasked with a clear, elevating goal and drive to accomplish it without dependency. This promotes an environment full of creativity and innovation as individuals collectively unite to accomplish a goal. Constantly assess priority, therefore delivering high customer value more quickly. "Fail forward fast" due to short feedback loops and minimum viable products. Up until recently, these frameworks tended to be team-specific and difficult to scale. Methodologists recognized this and several new frameworks have been developed to help scale an organization’s Agile methods to all levels. SAFe (Scaled Agile Framework), LeSS (Large Scale Scrum), DAD (Disciplined Agile Development), SoS (Scrum of Scrums) and others are emerging as I write this. They prescribe ways of scaling Agile at the portfolio, product, and team levels. 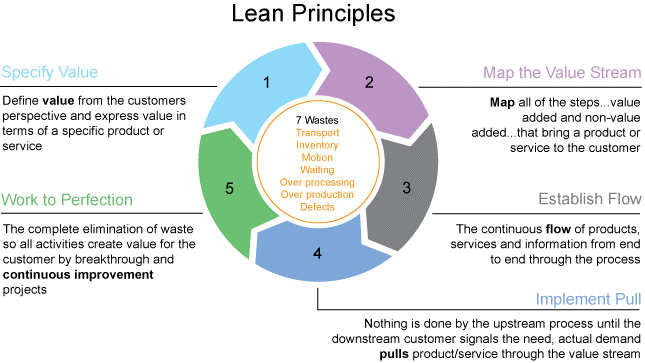 Lean principles can help you assess and drive towards customer value through continuous improvement. The end goal of Lean is to provide the highest quality value to the customer with a process that has as little waste as possible. Thinking Lean is a state of mind and often a paradigm shift in most existing corporate cultures today. Less is more and the concept of simplicity may go against what has been embedded in a culture since its existence. By thinking Lean, you inherently inspire innovation by individuals and teams in your organization at all levels, thus promoting a creative culture focused on customer value. We are heading out of the manufacturing era and shifting into the era of the creative economy for no other reason than to survive. 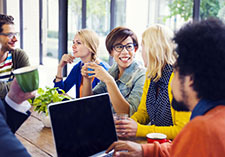 Is your organization embracing a creative culture?